Trained in architecture, Bethany is a performance designer working across dance, theatre and installation, with a particular interest in site-specific and devised performance. 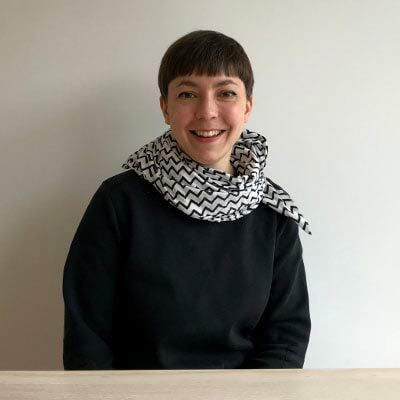 She sees all design as a form of activism, and is interested in exploring what can be achieved politically and socially by the collective live experience of performance. Recent work includes: Legacy, York Theatre Royal, TRUST, Gate Theatre, Party Skills for the End of the World, Nigel Barrett and Louise Mari, The Department of Distractions, Third Angel, All We Ever Wanted Was Everything, Middle Child, Cosmic Scallies, Graeae + Royal Exchange, We Were Told There Was Dancing, Royal Exchange Young Company, Removal Men, Yard Theatre, Dark Corners, Polar Bear, Seen and Not Heard, Complicite Creative Learning, The Desire Paths, Third Angel, The Factory, Royal Exchange Young Company, THE FUTURE, Company 3, Late Night Love, Eggs Collective, Live Art Dining, Live Art Bistro, Race Cards, Selina Thompson, Correspondence, Old Red Lion Theatre, Partus, Third Angel, My Eyes Went Dark, Finborough Theatre, WINK, Theatre 503. An ongoing project, WARMTH, is a wood-fired mobile sauna and performance space, commissioned by Compass Live Art and touring nationally.